at a predetermined time. 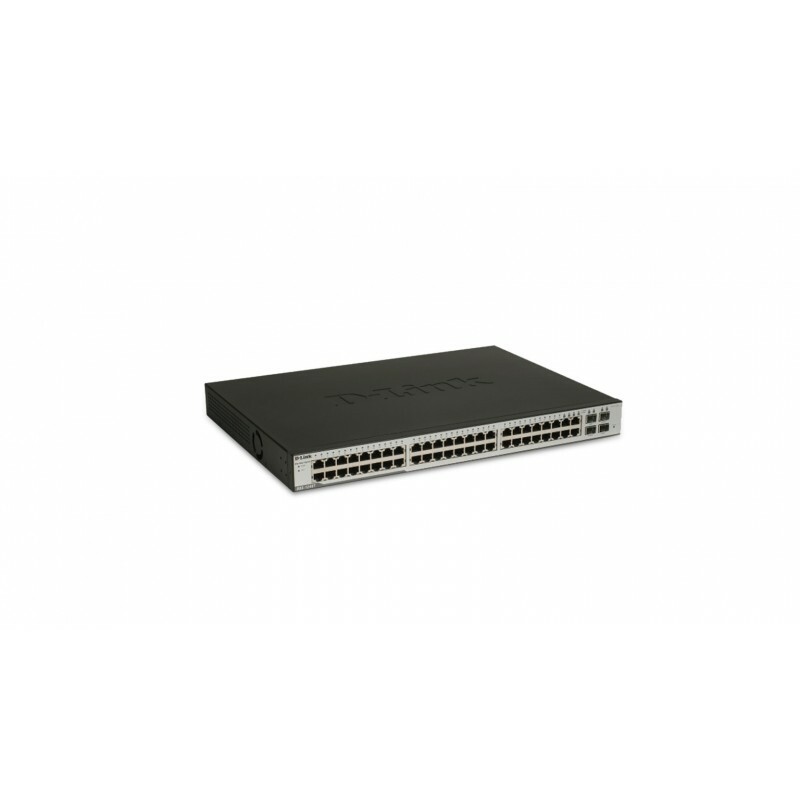 Compliant with 802.3af and 802.3at Pre-Standard, this switch is capable of feeding power to devices up to 30 Watts. 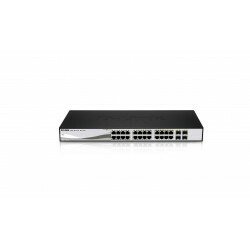 Management options for the switches include SNMP, Web Management, SmartConsole Utility, and Compact Command Lines. The series also supports ACL filtering and D-Link’s Safeguard Engine. 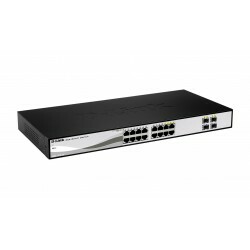 The DGS-1210 Series uses Auto Voice VLAN, ensuring higher priority for voice traffic. The DGS-1210-10P comes with a fanless design in a compact 13” desktop enclosure, the DGS-1210-16 and DGS-1210-24 feature a fanless design in 19” metal cases. The DGS-1210-48 is equipped with two smart fans which are set to low speed by default and will automatically switch to high speed once the temperature threshold is reached. A fanless design allows for quieter operation and guarantees an extended lifetime, while smart fans help to save power. 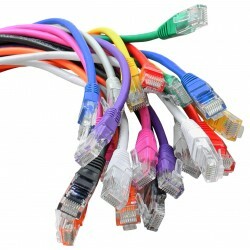 maintenance features include Loopback Detection and Cable Diagnostics. Loopback Detection is used to detect loops created by a specific port and automatically shut down the affected port. The Cable Diagnostic feature, designed primarily for adminstrators and customer service representatives, can rapidly discover the type of error and determine the cable quality. a larger bandwidth or might have high priority. messages to the network. To prevent ARP Spoofing attacks, the switch uses Packet Control ACLs to block invalid packets that contain fake ARP messages. For added security, the DHCP Server Screening feature screens rogue DHCP server packets from user ports to prevent unauthorized IP assignment. allows customers to discover multiple D-Link Web Smart Switches within the same L2 network segment. characteristics such as availability, reliability, resilience, and security. CLI management of the switches is possible via Telnet. This makes it possible to adjust basic settings, passwords, configuration files, and firmware with ease.